Maverick Ag provides south central North Dakota with full service agronomy centers specializing in commercial seed, crop protection products, and more with locations in Ashley and Linton, North Dakota. With a combined experience of more than 20 years, the partners at Maverick Ag believe that what sets Maverick Ag apart is expertise, innovation, and personal service. Agriculture is their passion and one of their main goals is to remain committed to local agriculture. Maverick Ag believes in the traditional values of hard work, trust, and fairness in doing business as well as maintaining good relationships with customers through personal service. They strive to continually add new services and technologies to provide our customers with a source for the ever-adapting innovations in agriculture. The idea of Maverick Ag started as a conversation among friends that soon became reality. In June of 2012, Maverick Ag was created and founded. Teamed by local agronomists Mark Rohrich and Matthew Schlepp, Maverick Ag specializes in agronomy advising, agricultural products and seed, and both ground and aerial spraying services with aerial application provided by LaDelle’s Spraying Service who is also a local to Ashley. Maverick Ag constructed a warehouse and office which is located right off of Hwy 11, just west of Ashley. Finishing touches to the facility were completed by January of 2013 and the business celebrated their grand opening on January 21, 2013. Both Mark & Matt continue to be extremely humbled by the response to their new venture in building Maverick Ag. 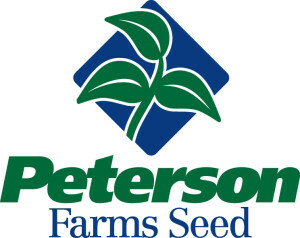 The facility houses an office, warehouse, and bulk soybean plant and services local farmers’ needs in package and bulk chemicals, commercial seeds including corn, soybeans, and sunflowers as well as specialty seeds such as alfalfa, cover crops, and other forages. The location of Maverick Ag of Linton has already begun construction and will be located 2 miles south of Linton complete with an office, warehouse, and bulk soybean facility. The location will celebrate a grand opening in the early spring of 2019. The facility, once complete, will service local farmers’ needs in package and bulk chemicals, commercial seeds including corn, soybeans, and sunflowers as well as specialty seeds such as alfalfa, cover crops, and other forages. 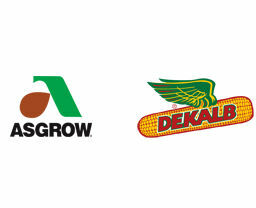 We are proud to offer a complete line of corn, soybean, and sunflower seeds from premium companies as well as alfalfa, cover crops, and other forages. We offer many additional services such as agronomy advising, seed treating, application services, precision ag, and soil sampling services. Sign up to receive our seasonal newsletters. Stay up to date on the happenings from the field.